Bernard Gibbons, representing the tenant Yee Jac Enterprises, LLC and Peter Mayfield, representing the landlord K&K Realty Trust. 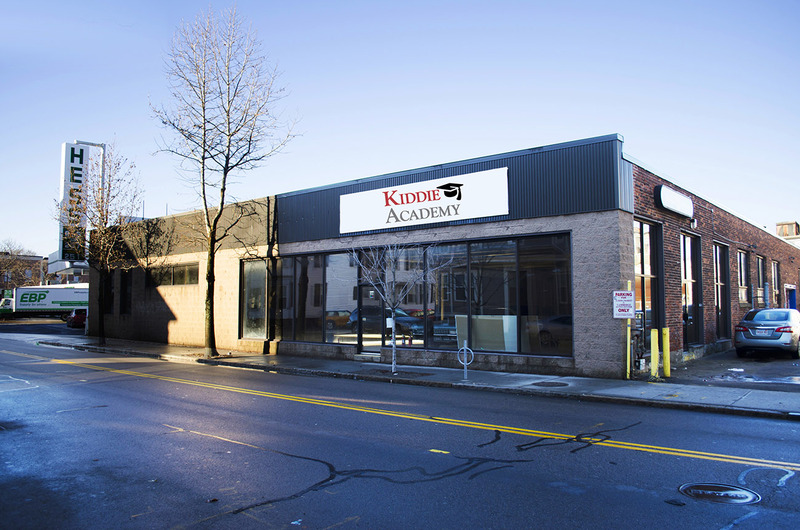 ABG Commercial Realty negotiated the lease for 10,000 SF of space to Kiddie Academy located on 299 Prospect Street in Cambridge. Kiddie Academy is a leading provider of comprehensive education-based child care programs. "This is a really exciting time for us and we are eager to introduce our well-trained, attentive staff to local area parents and their children. We look forward to assisting local children in developing the confidence and self-esteem necessary to meet the challenges of tomorrow," said Elaine Ho, owner of Kiddie Academy of Cambridge. "Our passion and dedication to providing high-quality child care is at the heart of the Kiddie Academy difference." “For the last several decades, Kiddie Academy has experienced phenomenal growth and we’re very pleased to bring that growth to the Cambridge area. Our success is a testament to not only the brand but the franchisees and their communities,” said Mike Miller, CEO and President of Kiddie Academy.